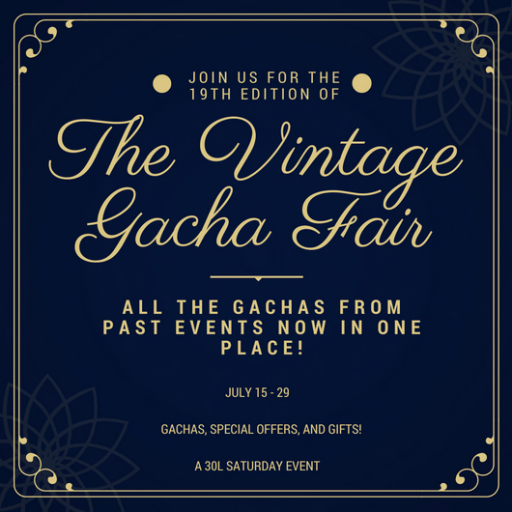 It’s time for another Vintage Gacha Fair. This event is a bit different in that it’s a sale event for already existing gachas. 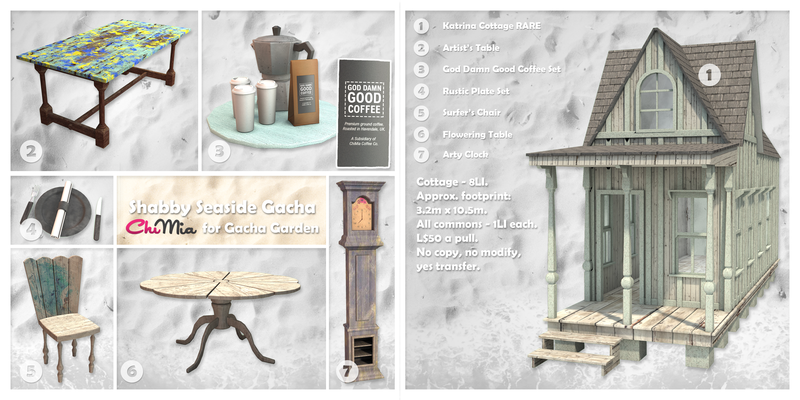 All are “vintage” coming back to an event on sale, so awesome gachas get more love and attention. Also, the gachas at this event are on sale AND there are free gifts out for visitors! This event is a bit different in that it’s a sale event for already existing gachas. All are “vintage” coming back to an event on sale, so awesome gachas get more love and attention. Also, there are free gifts out for visitors! 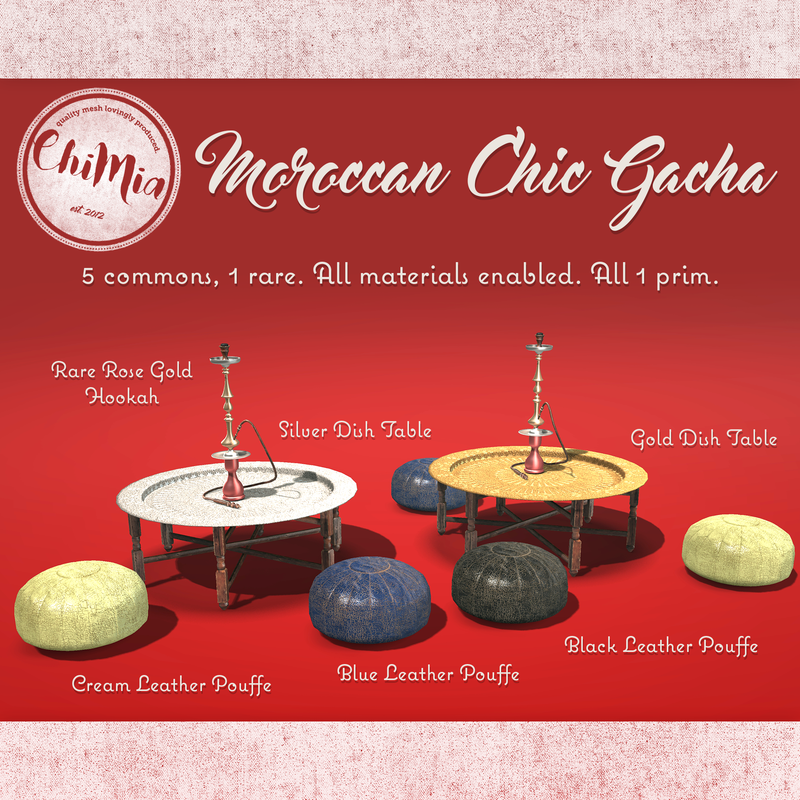 These gachas are on sale for only L$25 per play instead of our normal L$50 at this event. There’s also a gift item at each of our two booths for any visitors. We do trade-ins for copy/no trans items on all our gachas! 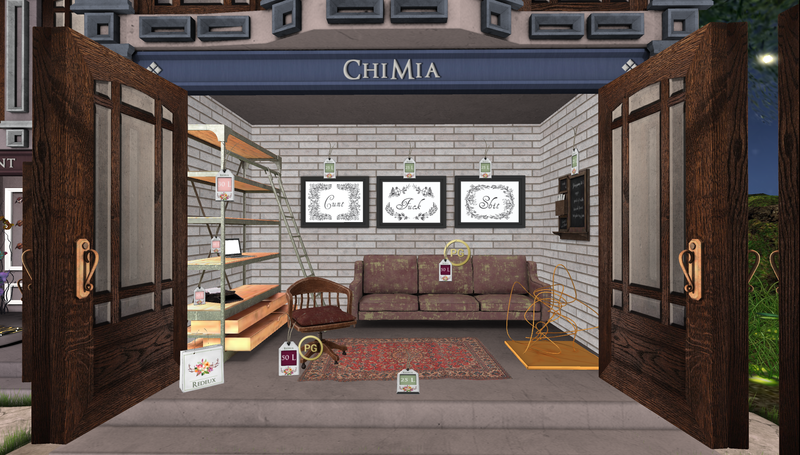 Send your gacha trades in a folder with your name to ChiMiaStore Resident in-world and we’ll send back copy/no trans versions of the gacha prizes.